Sometimes it takes an outsider to make you really appreciate what you have. In this case, Lonely Planet, originally an Australian publisher of low-budget backpacking guides and now a powerhouse in travel publishing, takes a look at the highways and byways of America. Using roundups of favorites that cover the environment, the arts, music, dining, road trips and more, sprinkled with fun facts and unusual insights, Lonely Planet provides a full color, well written snapshot of some of the best attractions in America… even if they don't know they're attractions. This attractive coffee table book is a photographic journey, a visual feast of content from Lonely Planet's more than 100 America travel guidebooks. 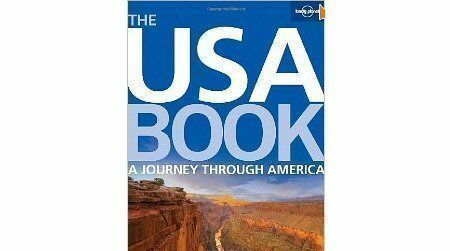 They compile the best photographs from these many practical print guidebooks and the words of 11 top authors to give armchair travelers a taste of the wide open spaces, roadside diners, wildlife, local recreational events, historic monuments, national holidays and other offbeat and mainstream bits of Americana. Even if you never realized that you might want to catch a show by the Ponce Family of trapeze artists who perform in Coney Island, New York; watch the dress parade at Annapolis on a tour through Maryland; or go fishing in Arkansas' Little Missouri River, there's a note about where and how to do it here. Bottom line: Not comprehensive by any means, but in all cases "The USA Book" is a total pleasure to read, enjoy and absorb. And you're guaranteed to discover something new.